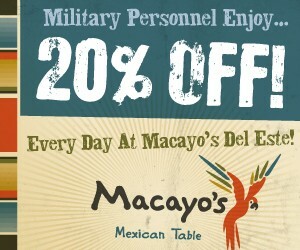 Military Personnel enjoy 20% at any Arizona location. No cash value. Excludes tax and tip. Military ID required. Del Este location only. Discount for Military Personnel only.